Size of this preview: 404 × 599 pixels. 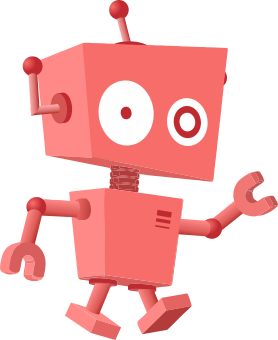 Other resolutions: 162 × 240 pixels | 1,010 × 1,498 pixels. 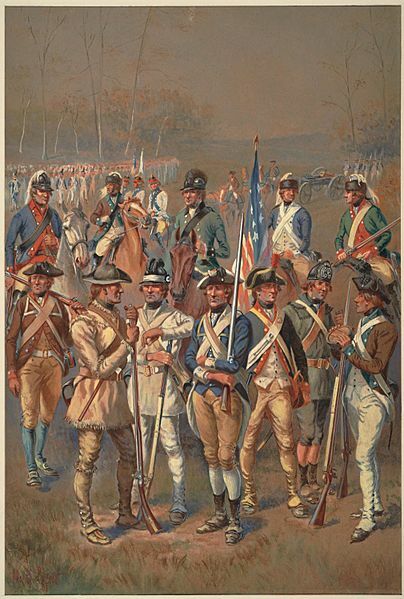 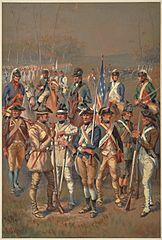 Description: A watercolor painting depicting a variety of Continental Army soldiers.